While European football prepares for a winter break, the domestic action in England continues at breakneck speed. However, before our continental counterparts can put their feet up for the festive period, they have one more league game to negotiate, along with the last 16 of the domestic cup competitions in Italy and Germany. One game which leaps off the coupon immediately is the Turin derby between Juventus and Torino on Wednesday night – a match that is always fiercely contested, and will be a thrill to watch. Another long-standing Serie A fixture is the one between Sampdoria and AC Milan, and those two sides meet in the Coppa Italia on Thursday evening, with a place in the quarter finals at stake. Meanwhile in Germany, a Klopp-less Borussia Dortmund look to be back to somewhere approaching their best, and they face an away trip to lowly Augsburg on Wednesday night to try and secure their place in the DFB Pokal quarter finals. We’ve got tips on each of these three games, as they represent our idea of decent value among the various cup games this week. Juventus are a cracking price at 4/6 1.67 -150 0.67 -1.50 0.67 with Ladbrokes to win the Turin derby on home ground. The Old Lady didn’t have the best of starts to the season, and it may well have been a hangover from last year’s title-winning and Champions League final accomplishments. They spent a fair chunk of the early season hanging around in mid-table, but they seem to have found their feet again lately with six straight wins in the league. They’re also through to the knockout stages of the Champions League, but the draw against Bayern Munich is as hard as it gets. That may well focus collective minds on a domestic treble, and they’ll be keen to defend the trophy they won last year. Torino are 10th in Serie A, and although they’ve posted some good results lately, they still look vulnerable away from home. Recent wins against Atalanta, Bologna, and Cesena have helped them steer clear of the relegation zone, but they don’t hide the fact that this team has lost seven of it’s last ten away matches. They’ve also lost on each of the four occasions they’ve visited the Juventus Stadium since the Italian Champions moved to their purpose-built home in 2011/12. Juventus are back up to 4th in the league table, but remain six points behind leaders Inter, so they still have plenty of work to do on the domestic front. An away match at relegation-threatened Carpi follows this one at the weekend before the mid-winter break, and Juve will be looking for two wins out of two to send the fans into Christmas happy. The last three victories at home have been particularly impressive, as they’ve seen off AC Milan, Fiorentina and Manchester City in the Champions League. Torino will hold no fears for the Old Lady and a home win is almost to be expected. Thursday night sees a traditional Italian fixture between Sampdoria and AC Milan, and it might pay to follow the away side at 29/20 2.45 +145 1.45 1.45 -0.69 with BetVictor and Skybet. Milan have been rather inconsistent over the last few seasons, and finished last term in a poor 10th place, outside of the European places. Once Champions League regulars, it has been something of a fall from grace for the side that are still renowned as one of the giants of the continent. The lack of European football should have given them the chance to concentrate on the domestic front, and they’re in 7th place with 25 points – within touching distance of the top four. However, it’s hard to see them making many waves in the league, and this could represent their best chance of silverware for the season, so expect them to be fully tuned up. Sampdoria are not having a good time of things at all lately, and they’re 16th in the league off the back of four straight defeats. They finished 7th last term and were awarded Genoa’s Europa League place for their efforts, after Genoa were denied a UEFA license. They were dumped out of that competition in the qualifying round though, by Serbian outfit Vojvodina, ending the European dream before it had even got off the ground. Fiorentina, Udinese and Sassuolo have beaten them in recent weeks, while AC Milan handed them a 4-1 drubbing at the San Siro as recently as the 28th of November. Sampdoria’s last two home games have ended in defeat, and Milan haven’t lost on this ground in five visits since 2010 (won two, drawn three). Milan have won three and drawn two of their last six away matches, with the only defeat at the hands of Juventus, and they are good value to grab a victory and seal a place in the quarter finals on Thursday. Finally we take a trip to Germany for the German Cup, where Over 3.5 goals at 32/25 2.28 +128 1.28 1.28 -0.78 with 888Sport and Unibet looks a great bet when free-scoring Augsburg and Dortmund lock horns. 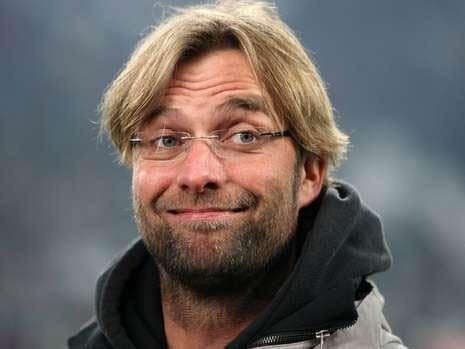 Dortmund have found the winning thread again after losing Jurgen Klopp in the summer, and they now sit 2nd in the Bundesliga behind predictable leaders Bayern Munich. They’re only five points short of that illustrious rival, but nine points clear of 3rd placed Hertha Berlin, which says a lot about the disparity in German football. They’re on a run of seven wins in ten and the goals have been flowing. Augsburg are also on a good little run with three wins in four, and goals could be the order of the day on Wednesday night. Their last 10 games have featured 34 goals, at an average of 3.4 per game. Dortmund’s last 10 matches have had an astonishing 40 goals, at a rate of 4 per game; and to further the cause, this bet would have landed in four of the last five meetings between the two teams.